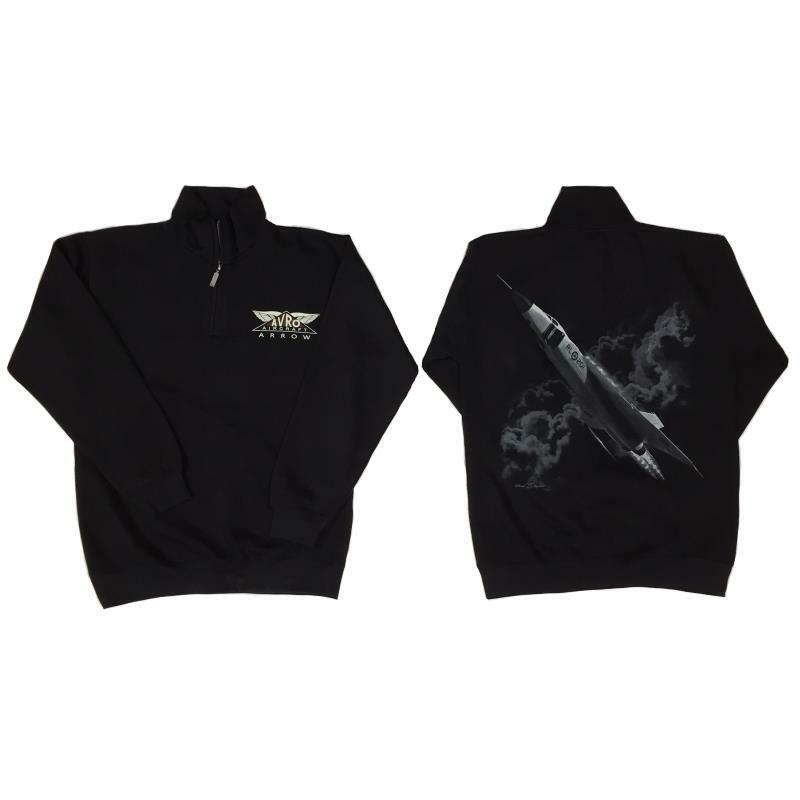 Clothing:Jackets-and-Sweat-Shirts ARROWSWEAT https://www.warplane.com/images/Products/ARROWSWEAT-S.jpg Avro Aircraft logo on left chest. Backside features a black and white design of the Avro Arrow. Description: Avro Aircraft logo on left chest. Backside features a black and white design of the Avro Arrow. Additional Info: 70% cotton. 30% Polyester. Preshrunk to minimize shrinkage.